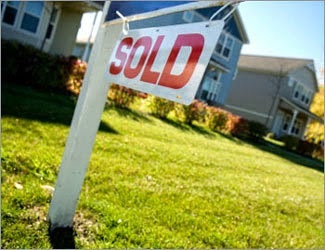 Tulsa home sellers asky WHY is my home not selling? Tulsa home sellers ask WHY is my home not selling after it’s been on the market for any period of time. Some sellers begin to panic sooner than others and look to their Realtor for answers. One of my listings recently went under contract after only 30 days on market, but we had 20 showings before we got an offer. Feedback from the showings was very positive, but no offer after 20 showings? You can imagine how frustrated that Seller was. Then, as luck would have it, we received multiple offers on a Saturday evening, and are now under contract with a good solid Buyer. So, sometimes it is just a waiting game and patience is required. Another listing I have has been on the market almost three months, and this morning I pulled comps (comparable properties) to present to my Seller. What we need to evaluate now is what properties are selling and why other properties were chosen over ours. Although this home is in a popular midtown Tulsa neighborhood, the layout of the home has challenges. There are steep stairs leading to a 2nd level master bedroom that would be okay for a 25 year-old buyer, but not a consideration for a 45 year-old buyer. There is only a half-bath in the master bedroom, so whomever occupies that space will have to go downstairs to shower. Neither of these obstacles are easy or inexpensive to fix, so an adjustment must be made in list price. When I reviewed the comps, I discovered that eight properties had closed in the past two months and that TWELVE properties are currently pending. That’s a total of 18 homes that were chosen over our listing. So, the inventory is moving and the Buyers are out there. The harsh realism is that we were not picked. It is better to react to your current market conditions instead of burying your head in the sand and expecting for the best. The Seller has control over whether their home sells when they are provided current and consistent information from their Realtor. When Tulsa home sellers ask WHY is my home not selling – be prepared to hear a harsh response. If the condition of your home can not be improved upon, you must lower your price. Consider feedback you’ve received and definitely pull comps to evaluate what has been chosen over your home for sale. A popular midtown Tulsa subdivision, Florence Park homes are steadily increasing in value. As of April 9, 2014, only 7 properties are for sale in Florence Park; 4 properties are under contract; and 9 properties have sold since the first of the year. Active properties range in price from $145,000 to $240,000. We don’t know what the pending properties sold for until they are closed, but four properties pending shows consistent movement of inventory. Two of the pending properties are listed at $158 and $160 per square foot – and were on the market less than three weeks – so they likely sold close to list price. Of the nine properties that have sold since the first of the year, we are seeing a drastic increase in property values. The highest selling property was 1733 South Florence Avenue which sold for $385,000 or $183 per square foot – and only 15 days on market. Even during the winter months (all closed in January 2014), three homes sold above $300,000. So finally, Florence Park has broken the glass ceiling! Florence Park is just a half-mile south of the University of Tulsa and a short distance to Utica Square and Cherry Street dining and entertainment. The cozy midtown Tulsa properties attract students, young professionals and couples downsizing. Florence Park boundaries are 15th Street to the north; 21st Street to the south; Harvard to the east and the BA Expressway to the west. 1. What can you reasonably afford? Before you decide whether you want a 3 or 4 bedroom home, you need to figure out what you can afford. That means taking inventory of your income, expenses, assets, savings and debts. Once you know where you stand it's time to sit down with a financial adviser and review your monthly cash flow vs. the price of home you can afford. 2. Have you considered all the hidden costs? Many people reason that if their potential mortgage payment would be less than their current rent payments, they should buy a home. The problem is, they're forgetting all the hidden costs of home ownership. Consider property taxes, home owner's insurance, Realtor fees, closing fees, utilities and maintenance. They add up! 3. What will your life look like in five years? While you might be financially ready to buy a home, it might not make sense with your current career path or relationship. Is it possible you could be transferred to another office? If you're looking with someone else, are they considering grad school in the future? 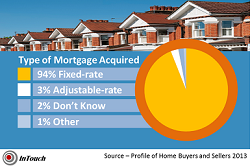 Just because interest rates are low right now, and you've crunched numbers enough to know you can afford the move, is it something you want to commit to? One of the most expensive assets you're ever going to invest in is your home, you want to be ready to take on that responsibility. 4. What kind of neighborhood do you want? If you're a younger buyer, being in a metropolitan area might be important to your decision. If you're thinking about starting a family in the near future, you may want to consider the quality of local schools, access to public parks and neighborhood safety. Decide on a few areas you're interested in and start checking out the price range for homes. It's good to start looking a full year in advance do you have time to review as many options as possible. 5. Are you working with the right Realtor? Just like any other financial relationship, your Realtor must mesh with what you want for yourself. Don't be afraid to conduct mini interviews with a few Realtors to compare the differences in personality and availability. One mistake many people make is using a Realtor just because they're a friend or relative, not because they're familiar with the right area. You owe it to yourself to work with someone who has the knowledge and expertise for the region you want to live. Looking For Things To Do This Spring? After being cooped up indoors all winter, we can finally get outside and enjoy some sunshine! To help you get started, here's a list of events going on around Green Country!